You’ve been told about the numerous benefits of various fruits and vegetables—but have you ever considered adding a plant to your diet? Chlorella is a blue-green algae plant which is harvested in areas of the world like the Orient—and it’s also used as a nutritional supplement. Chlorella contains many types of naturally-occurring nutrients like protein, healthy fats, and carbohydrates. It also contains a high concentration of phytochemicals which provide this interesting plant with most of its purported medicinal benefits. Chlorella contains high amounts of lutein, zeaxanthin, and chlorophyll which can improve immune function, protect our cells from free radical damage, and improve gut-friendly bacterial content. Typically, chlorella is used to help boost the immune system, decrease blood pressure, lower cholesterol, and act as an antioxidant to protect the eyes from the damaging effects of UV light exposure. 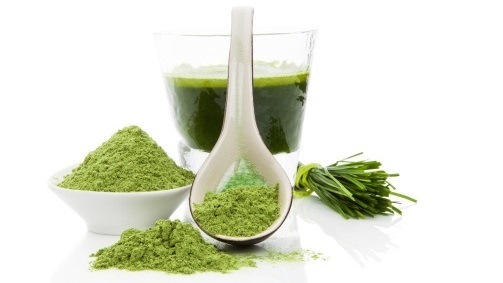 Chlorella also contains a reasonably high amount of omega-3 fatty acids which are extremely valuable to human health. The omega-3 fatty acids can help decrease blood pressure, blood clotting, and harmful LDL cholesterol. Chlorella is also an excellent source of magnesium and other antioxidants like vitamin C and vitamin E which are necessary for proper blood clotting, blood pressure, immune function and anti-cancer activity. Recently, chlorella has also been used as an anti-aging supplement simply because of its ability to improve antioxidant capacity within the human body and its ability to help the liver by detoxing harmful chemicals. Studies have shown that adding chlorella supplements to our diets may increase red blood cell levels of lutein and other carotenoids like beta carotene, which substantially increased after four weeks of supplementation, and subsequently fell to pre-supplement levels following a four-week abstinence. This is good news given the evidence indicating that carotenoids can decrease the damage to eyes and help prevent heart disease and cancer. Well, recent evidence indicated that the supplementation of chlorella (3,600 mg/day) to 38 chronic smokers for six weeks increased levels of antioxidants like vitamin C, vitamin E and glutathione which is an extremely important intercellular antioxidant. Chlorella also significantly decreased the markers of oxidative stress like fat (LDL) oxidation which drives the disease process resulting from smoking. So perhaps smokers might want to start looking into taking chlorella to prevent the damage that smoking can bring. Some other research has also been quite revealing regarding the potential benefits of this remarkable algae. A research study published in 2013 looked at the effects of chlorella supplementation on 18 patients diagnosed with chronic hepatitis C virus. After receiving a daily dose of chlorella, 70% of the patients experienced a drop in their viral load and over 80% had decreases in liver enzyme levels. In addition, 77% of the patients reported improved energy levels and 46% experienced an improvement in their general health status! Chlorella may not only be a wonderful addition to your anti-aging supplement regimen but also bring with it numerous health benefits! “Chlorella,” WebMD web site; http://www.webmd.com/vitamins-supplements/ingredientmono-907-CHLORELLA.aspx?activeIngredientId=907&activeIngredientName=CHLORELLA,last accessed November 5, 2013. Miyazawa, T., et al.,“Chlorella is an Effective Dietary Source of Lutein for Human Erythrocytes,”J Oleo Sci 2013;62(10):773-9. Panahi, Y., et al.,“Investigation of the effects of Chlorella vulgaris supplementation on the modulation of oxidative stress in apparently healthy smokers,”Clin Lab 2013;59(5-6):579-87. Azocar, J., et al.,“Efficacy and safety of Chlorella supplementation in adults with chronic hepatitis C virus infection,”World J Gastroenterol. February 21, 2013;19(7):1,085-90.